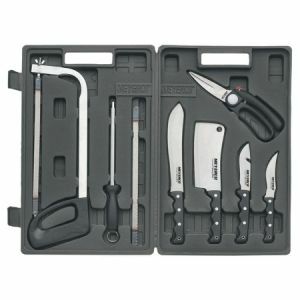 Product dimensions : (D) 10 in. x (H) 7 in. x (W) 10 in. 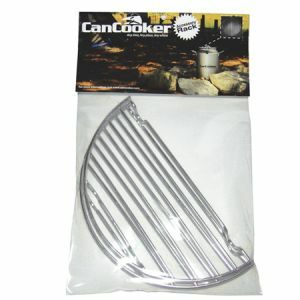 Seth McGinn's Can Cooker Original provides 2 gallons of capacity to conveniently cook complete meals for up to 10 people. 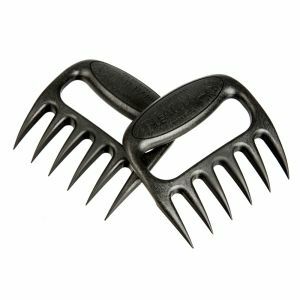 The high-temperature silicone gasket and food grade anodized aluminum construction works great on any heat source from a campfire to stove top. The vented lid allows food to steam without losing flavor. 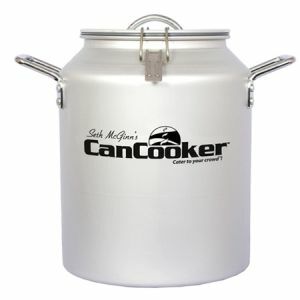 You're reviewing:Seth McGinn's Can Cooker Jr.